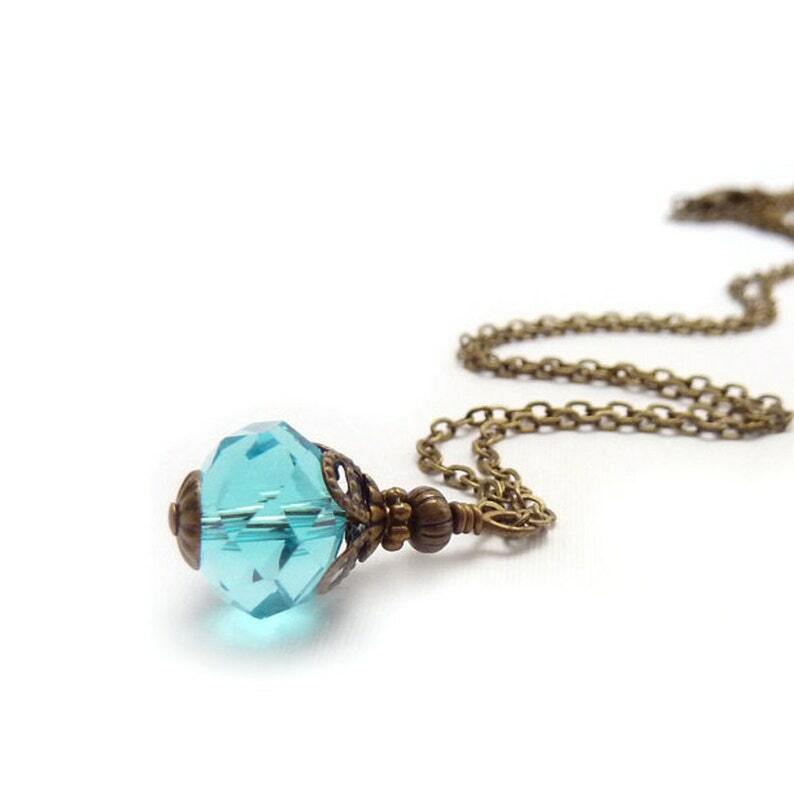 Simple and elegant, this aquamarine crystal pendant has beautiful facets surrounded by antiqued brass vintage detailing. I wire-wrapped the stone and it hangs from a delicate bronze cable chain. This is a petite necklace with great color that really stands out. It also works perfectly for bridal parties. * The chain ships at 24" or you can select another length from the drop-down menu on the right.